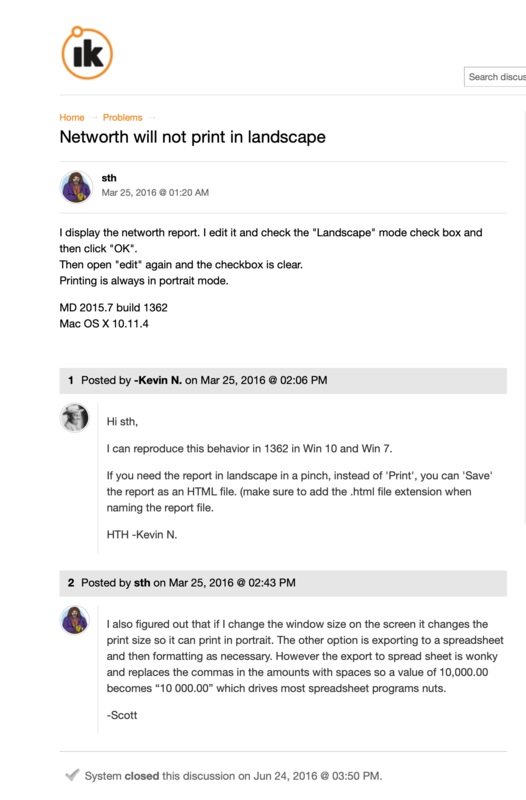 Printing net worth report always prints portrait. The print landscape option does not stick and does not work. I see that this issue has been raised before - over 2 years ago, yet it remains unfixed. This is very disappointing.